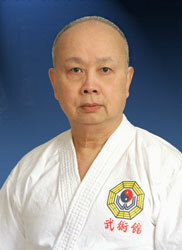 Founder of Wu Shu Kwan. 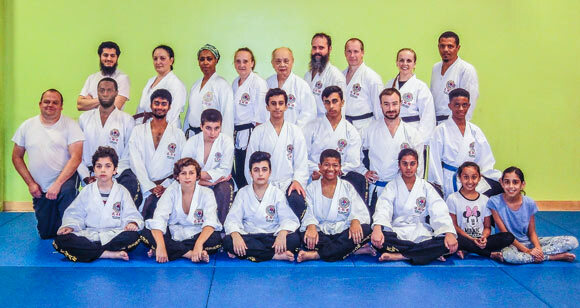 His techniques and knowledge are legendary, and his name synonymous with the foremost and highest authority on Chinese kickboxing with students all over the world. Black Belt at the age of 15 years 6 months. 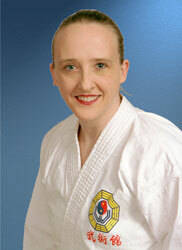 Trish is one of the highest ranked martial artists in the world. 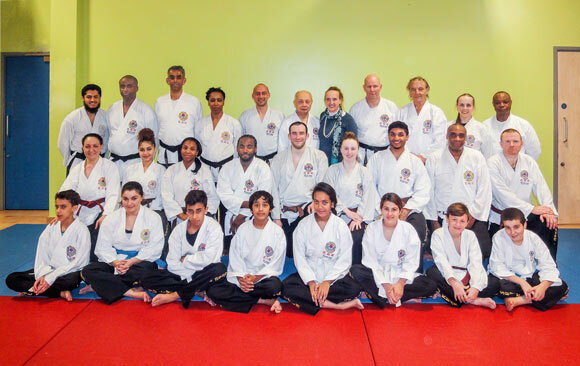 She has taught and conducted gradings regularly in many countries, including UK, USA, Australia, Canada, Barbados and Trinidad. 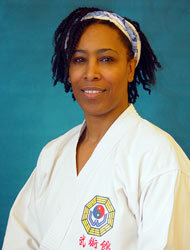 Andrea also teaches her own class in Upper Norwood, London SE19. Group photo taken on 24th December 2018 with members from CERN (Switzerland), Liverpool and North Wales. Group photo taken on 26th May 2018 with members from CERN (Switzerland), Liverpool and North Wales. 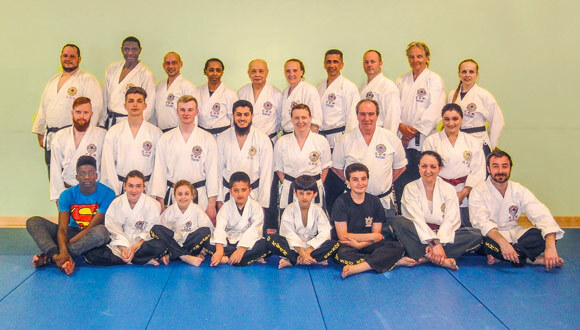 trained with Grand Master on 30th September 2017. Group photo taken on 1st October 2016. Group photo taken on 15th May 2016. Group photo taken on 28th November 2015. Group photo taken on 21st November 2015. A very old group photograph showing Grand Master C. K. Chang (standing left) and Senior Master Eddie Cheah (squatting right); they have been good friends since childhood. 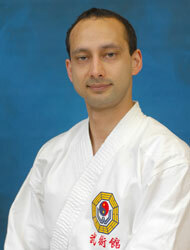 The picture was taken when they were 16 years old at the Grand Master's house before their daily training. The sparring gloves in the foreground were stuffed with horsehair rather than the present-day flock or foam. Group photograph taken on 22nd November 2014. Group photograph taken on 18th January 2014. Class training on 18th January 2014. Class training on 11th January 2014. 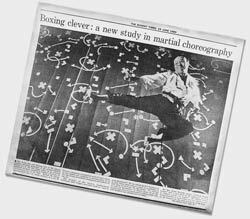 To a world-famous artist, the extreme power and absolute elegance of Grand Master C. K. Chang's movements are outside the gamut of his artistic strokes. So he has to resort to using a series of special symbols to paint these movements. His works were exhibited in London's Institute of Contemporary Art in the Mall, and given a full-page report in the Sunday Times (left).